So you thought wedding planners were the only ones who could help you plan your wedding? 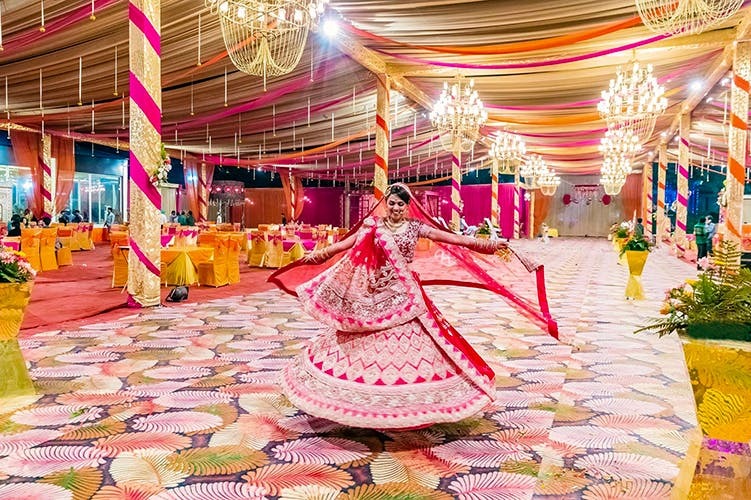 Well, think again, because a slew of young, new services is making Indian weddings fun, easy to plan, and a total breeze. From helping you find the perfect venue to creating your own brand of song for your sangeet, we say ‘I do’ to all of these wedding services. The spanking new venue concierge service by wedding planning portal WedMeGood acts as your personal genie in accompanying you to find and shortlist venues on your budget, and getting you the lowest deal possible. The best part? If you’re able to find a better deal without their help, they’ll return all your money. Want a 3D memory of the bride and groom to keep forever? Well your prayers have been answered; now you can get miniature bride and groom dolls. They can serve as cute gifting options or just keepsakes. Creepy or cool—up to you to decide. You can get them made at Klone World here and Wedding Twinkles here. Ever thought about what your song as a couple really is? Well, what if you could create your own? The guys over at Music4Thoughts will translate your feelings into lyrics, add some music, and you can then choose to record the song in your own voice or have it recorded by a professional. You get a personalised two-hour session at MAC Cosmetics, wherein the makeup artist goes over the ins and outs of makeup and how to create three different looks for you. Perfect for brides-to-be, especially because the amount you pay is totally redeemable on make-up products you purchase after your class finishes. So you went from Miss to Mrs but the thought of going through lengthy paperwork to get your wedding registered is putting a dampener on your spirits? Worry not, because there are now services which, at a minimal fee, can help you get your marriage registered from the comfort of your home!